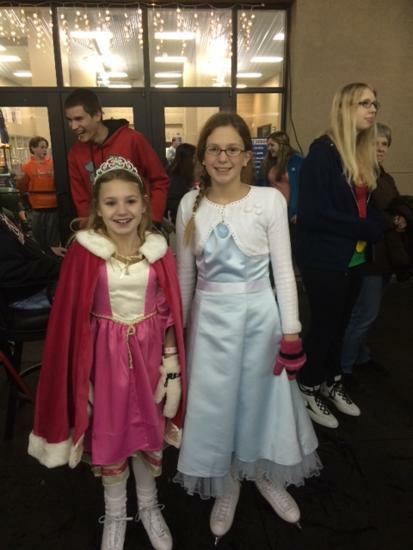 Cost for ice skating lessons is $100 for the first skater and $70 Family Discount for each additional skaters in the family + $16 LTS USA Membership fee per skater. 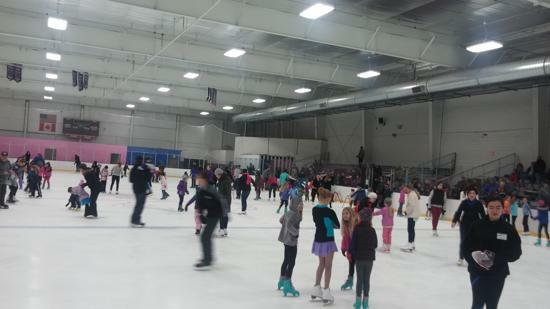 The Kansas City Ice Center's Learn to Skate School exists to provide quality ice skating instruction in a fun & safe environment. 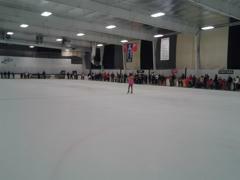 All skaters that take Learn to Skate Classes at KCIC must have a Learn to Skate USA Membership. The cost is $16 and the year runs from July 1 - June 30th. Must present number before registering. Since this class is only 5 weeks, it is priced at $90 + $16 membership fee. The Snowplow Sam levels are introductory ice skating classes divided into 4 progressive levels allowing children with no prior skating experience to build confidence while learning the basic skills of skating. All classes will be taught in a safe and positive environment, incorporating fun and games making class time an enjoyable experience for all. 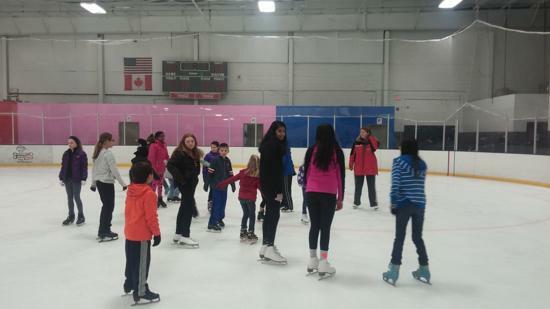 Cost of class includes skate rental during lessons and public skating passes to be used during session. (Public skate pass includes skate rental). Helmets, gloves and light layers are recommended. Please arrive EARLY for the first class. 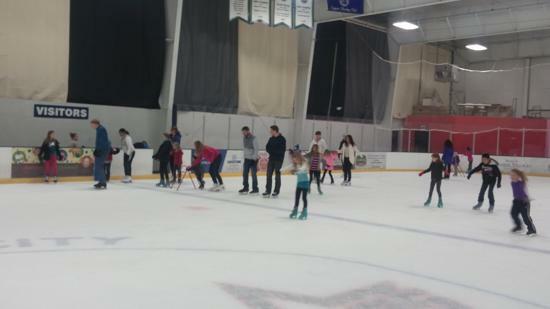 This ice skating class is for toddlers ages 1 and half until 3 years old. The parent or guardian will learn the fundamentals for skating to help their toddler on the ice. This class will focus on the basics of balance and beginning skating. This class will introduce ice skating to parents and toddlers. Skates must be worn by the parent and child. (This class is usually combined with Snowplow 1) Toddlers are encouraged to wear a helmet. Cost includes skate rental during lessons and public skating passes to be used during session. (Public skate pass includes skate rental). Helmets, gloves and light layers are recommended. A rounded bicycle helmet is recommended. Please arrive EARLY for the first class. Basic Skills ice skating classes teaches the FUNdementals of ice skating and provides the best foundation for figure skating, hockey, and speedskating. Six progressive levels introduce forward and backward skating, stops, edges, crossovers and turns. Upon completion of the Basic Skills 1 - 6 levels, skaters will be able to confidently advance to more specialized areas of skating. Skaters will progress at their own rate and advance after skill master is demonstrated. 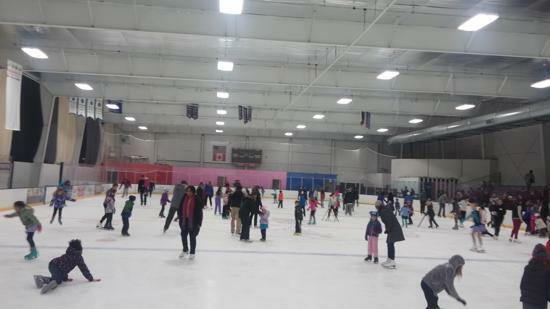 Cost includes skate rental during lessons and public skating passes to be used during session. (Public skate pass includes skate rental). Helmets, gloves and light layers are recommended. Please arrive EARLY for the first class. Each free skate level is comprised of a variety of progressive ice skating skills, transitions, spins and jumps - all of which build on the previous skill, providing skaters a strong foundation of all elements. Instructors will focus on quality and master of skills. Cost includes skate rental during lessons and public skating passes to be used during session. (Public skate pass includes skate rental). Gloves and light layers are recommended. Please arrive EARLY for the first class. 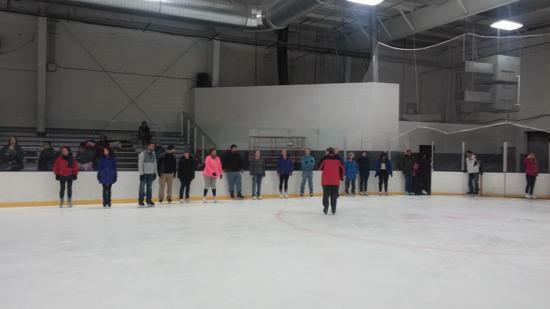 The adult ice skating class curriculum is designed for the beginner and experienced adult skaters who wish to improve their skating skills. 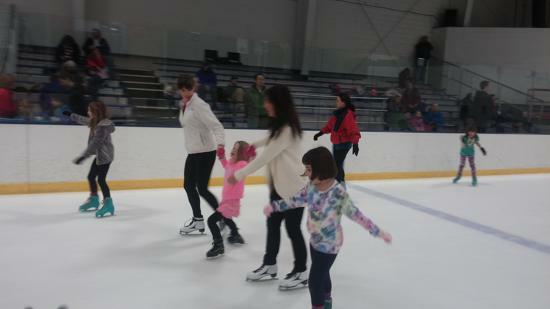 Participation will promote physical fitness and improve balance and coordination while teaching proper skating techniques. This is an exciting program for people who look to skating as an enjoyable part of a fit and healthy lifestyle. Divided into six levels, adult skaters will progress at an individual rate while being challenged and motivated. Cost includes skate rental during lessons and public skating passes to be used during session. (Public skate includes skate rental). Helmets, gloves and light layers are recommended. Please arrive EARLY for the first class. Each free skate level is comprised of a variety of progressive skating skill, transitions, spins and jumps - all of which build on the previous skill, providing skaters a strong foundation of all elements. Cost includes skate rental during lessons and public skating passes to be used during session. (Public skate pass includes skate rental). Gloves and light layers are recommended. Please arrive EARLY for the first class. This class introduces skaters to the basic principles and philosophy of choreography, presentation and performance. The program provides a foundation in basic body alignment, movement and line. This class will contribute to the training of the complete figure skater. Synchronized skating is a team sport in which 8-20 skaters perform a program together. A great way to make new friends. This class introduces skaters to team skating skills including keeping time with music, rhythm and basic synchronized maneuvers. Artistry is where skaters will learn the basic principles of body alignment, movement, and line — the foundation for choreography and style. The goal is to stimulate the creative mind and develop the physical skills required to express creativity through movement Examples: unique positions in spirals, ena bowers, hydroblading and shoot the duck. Spins will range from the fundamentals of the basic position execution to the difficult variations used for IJS. Examples: Unique positions in spins and spin combinations, to mastering the basic scratch spin. For Interp - skaters will hear a piece of music and have to choreograph a skating routine – with no help from friends, parents or coaches. The emphasis is on the skater’s ability to choreograph an entertaining skating routine to music and not on the difficulty of the skating maneuvers performed. Jumps are where skaters will learn and practice jump exercises to help build their jump consistency. These valuable exercises and drills help the jump progression. This class will assist them with rotation, strength, and jump technique while working on their skills. The Therrapeutic Skating Program is designed to help the physically challenged skater develop skills and enhance their skating experience. The program encourages skaters to continue in the sport of skating for physical recreation and activity while taking limitations into consideration. 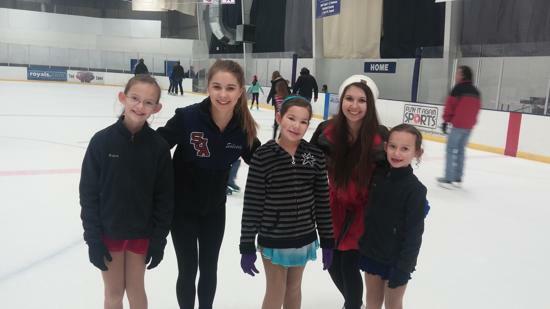 The cost for those with special needs is $16.00 for the USFS Learn to Skate USA Membership. Classes may be combined due to low enrollment or at the discretion of the Skate School Director. 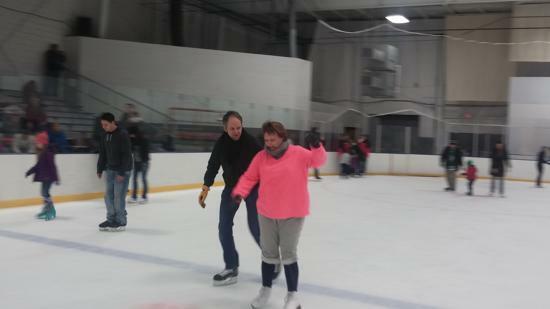 Each person ("Participant") using Kansas City Ice Center assumes all risk of personal injury, which may result from participation in all activities conducted at the Kansas City Ice Center facility. The Participant will not hold KC Ice Center & KC Stars Youth Hockey Association, or any of its officials, staff, owners, or the proprietor, liable for injury, which the Participant may sustain while participating in any activities, conducted at the KC Ice Center. The Participant understands and agrees that the sport of ice hockey & ice-skating has physical dangers, which may result in serious injury or death. The Participant is advised to carry medical insurance. The Participant certifies that he/she has no known medical condition, which would prohibit him/her from playing the sport of ice hockey or ice-skating. KCIC reserves the right to cancel or combine classes due to low enrollment or at the discretion of the Skate Director. KCIC has a no refund policy on class fees. What ice skating class do I sign up for? 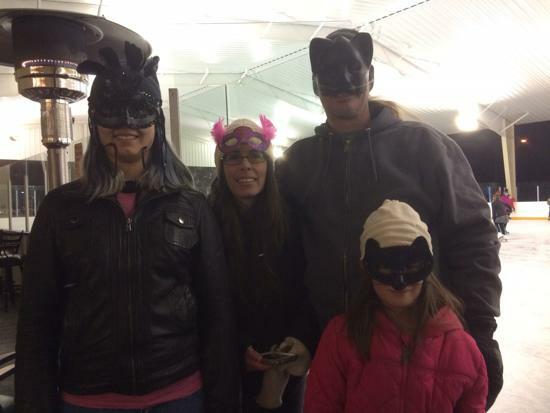 If you have never ice skated before or you have never had any formal ice skating instruction, we recommend starting in the following classes: Snowplow Sam 1 for ages 3 - 5, Basic 1, Hockey 1 for ages 6 and above, Adult 1 for adults ages 17+. 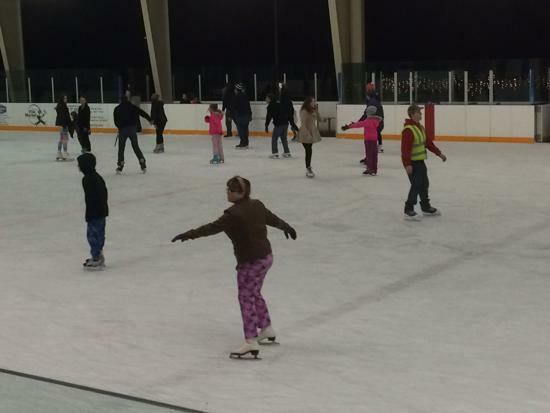 Enrollment for ice skating classes closes after the 2nd week of class. What is included with the price of my ice skating class? Class fee includes 30 min. of weekly instruction, skate rental on the day of class, and public session pass for the skater enrolled in the class to use during the duration of the class session. Skate rental is included when you come practice. How and when do I sign up for the ice skating class? 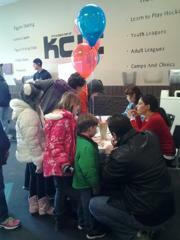 Register online at www.kcicecenter.com, by phone at 913-441-3033, or in person at KCIC. Register early to ensure your spot, which will not be reserved until payment is received. Please register at least 48 hours before the first day of class - if there are less than 3 enrollments for a class, at that point, the class may be cancelled or combined. What do I need to do the first day? Please arrive 20 min prior to the start time of your first ice skating class. The KCIC Staff will help you with your rental skates and rental skates typically run 1 to 2 sizes smaller than street shoes. On the first day of class, all skaters will meet their instructors off ice. Yes? We have a multi family member discount. The 2nd and 3rd family member receives $30 off. Also, if you take 2 classes a session, you receive $30 off seccond class. Skate boots should provide a snug fit. You can usually fit in 1 - 2 size smaller skate than shoe size. Your foot should not move around inside the boot. The closer the fit, the more control you will have. Lace skates by crisscrossing the laces snugly around each hook. To ensure proper support for the ankle, the tightest point should be at the instep. Feet will feel best in lightweight socks or tights. Wear several layers of clothing to start, as you warm-up you can discard a layer or two. Comfort and freedom of movement are important. Try not to wear clothing that might be restrictive. Sweats or warm - ups are ideal. Remember to bring gloves. 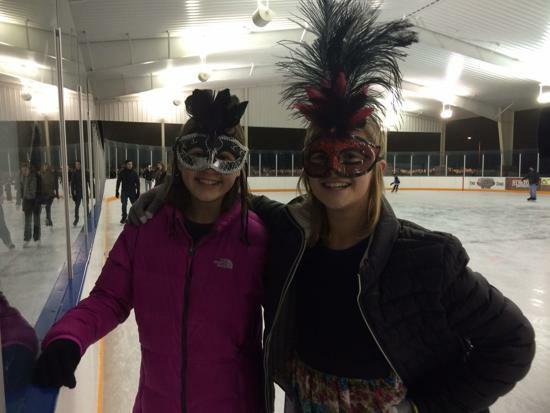 Helmets are suggested for beginner skaters, but not required. 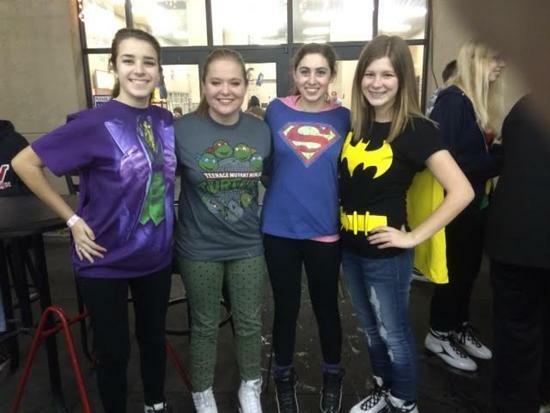 What is the Learn To Skate USA membership? All Learn to Skate skaters are required to pay the $16.00 annual (July 1 - June 30th) membership fee to Learn to Skate USA. You can do this by going to www.learntoskateusa.com. This needs to be done before you sign up for classes. Can I make up a missed ice skating class? If you miss an ice skating class, you can make that class up at one of the other times your skaters level is scheduled. You must contact the Skating Director or call the rink to fill out a Make up Request form and all make ups must be completed by the 5th lesson of the current session. You will not be able to make on the last day of class which is evaluation day. We have a no refund policy on classes, however, we can hold your credit to be used at a later date or within your family. Where can I purchase skates or equipment? KCIC now has opened The Skate Express! This is the perfect place to outfit the beginner skater. Please stop by and check them out!! If interested in finding a coach to teach you one on one skating lessons, please look at form below for contact information of the coaching staff we have here at KCIC.